KSTS Safety Consultants have experience in a wide range of working environments. 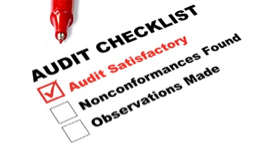 Our Consultants can perform a one-off work place inspection or a periodic documented workplace inspection e.g. every three or four months. This report can be used to form the basis of management’s plan to help achieve best practice in relation to health and safety management. KSTS Consultants work in partnership with your safety representatives to develop an action plan at a schedule which suits you.